Called Rory, the platform treats for hot flashes, vaginal dryness, sleep deprivation and other symptoms of menopause, while also seeking to educate users on their personal health. Much like Ro’s other offerings, the service kicks off with a remote consultation and delivers supplements and other medications discreetly through the mail. You wouldn’t download an exercise bike. Connected home exercise equipment maker Peloton has been hit with a $150 million lawsuit from the National Music Publishers Association (NMPA), which claims that Peloton was illegally featuring music from Rihanna, Bruno Mars, Lady Gaga and others. The suit was filed yesterday in the US District Court of the Southern District of New York. "We just received the complaint this morning, and we are evaluating it,” Peloton wrote in a statement to Engadget. “Peloton has great respect for songwriters and artists. In fact, we have partnered with each of the major music publishers, record labels and performing rights organizations, and many leading independents. We have also invested heavily to build a best-in-breed reporting and licensing system to support our partners and provide our members with a world-class fitness experience." Telehealth legislation. 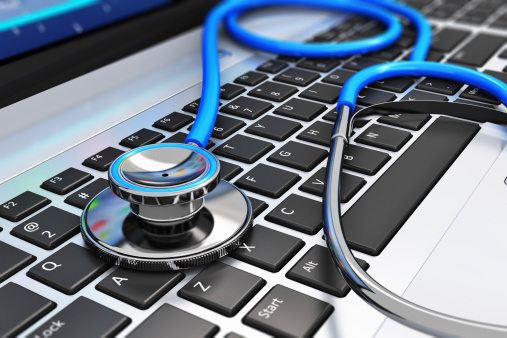 The National Law Review reports on a handful of new telehealth bills that were recently filed by Massachusetts legislators. Broadly, the bills would require certain payers to offer coverage for telehealth services, although there is some contrast between the bills in whether Medicaid with be required, or simply permitted, to cover certain areas. In other telehealth legislation news, a bill looking to expand the definition of a “professional relationship” with Arkansas’ existing telemedicine laws failed by a single vote. Of note, the bill was not supported by any Arkansas House member with a medical degree, each of whom said that video calls fall short in comparison to physical examinations. Birth control app earns high marks. A recent study gauging the efficacy of the Dot birth control app found it to be 99 percent effective when used perfectly and 95 percent effective with typical use. Published in The European Journal of Contraception and Reproductive Health Care, the investigation examined data from 13 menstrual cycles contributed by 718 women (6,616 cycles total) between February 2017 and October 2018. All of the participants were within the age range of 18 to 39 years, although no significant differences in the app’s failure rate were observed among different age, racial or socioeconomic groups. “It’s easy to see why families would need extra support during this monumental time in their life, but why should businesses care?” the company wrote in a Medium post announcing the investment. “Employers want new ways to attract and retain the best talent, foster more inclusive, diverse workplaces, and they want to save money on costly employer-sponsored healthcare plans by improving outcomes. More and more, employers are recognizing when an employee starts a family, it doesn’t need to be the end of their career."